Legendary RCA Victor Studio B was run by the equally legendary Chet Atkins who built the facility in 1957. Until the studio was completed musicians recorded in the stair well of a nearby office building to get the echo Atkins wanted and which became part of “the Nashville Sound.” Back in the day my singing partner and I recorded in the bathroom where the tiles worked similar magic and later in 1960 when we cut our single Once Upon A Time the echo was provided by an empty 2000 gallon water tank on the roof of Audio Recorders in Phoenix. It was the same studio where Duane Eddy had unleashed his “twangy guitar” three years before. Our record, alas, was on the old Oblivion label. You may not have heard of it. Studio B is the studio Elvis Presley built. 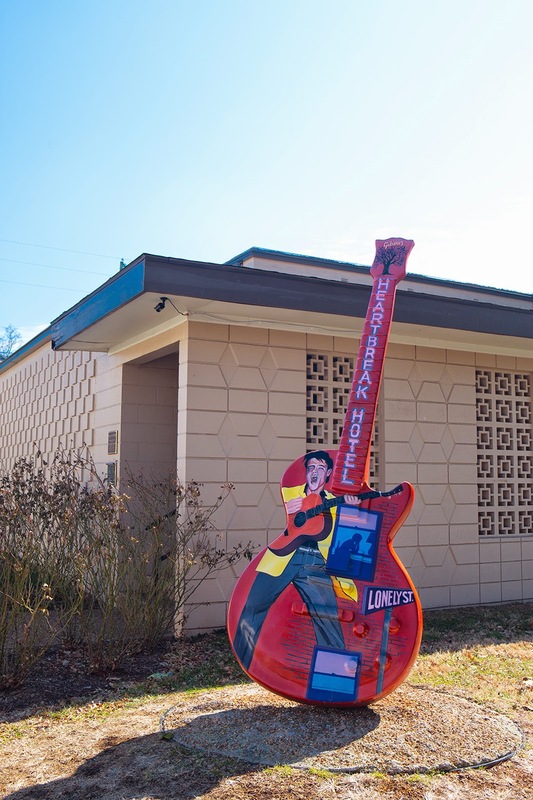 More than 200 of his songs were made in the unprepossessing cinder block building at 222 Fifth Street on Nashville’s Music Row. Reputedly Elvis could enter the studio through the back door while everybody else including some of the biggest names in country and pop history had to get by a gate keeper at the front door. Such were the perks of being the biggest star on the planet. I'm told that Elvis had to be in the mood to record so appropriate lighting was supplied for the King. Sometimes the colored lights were the only lights. 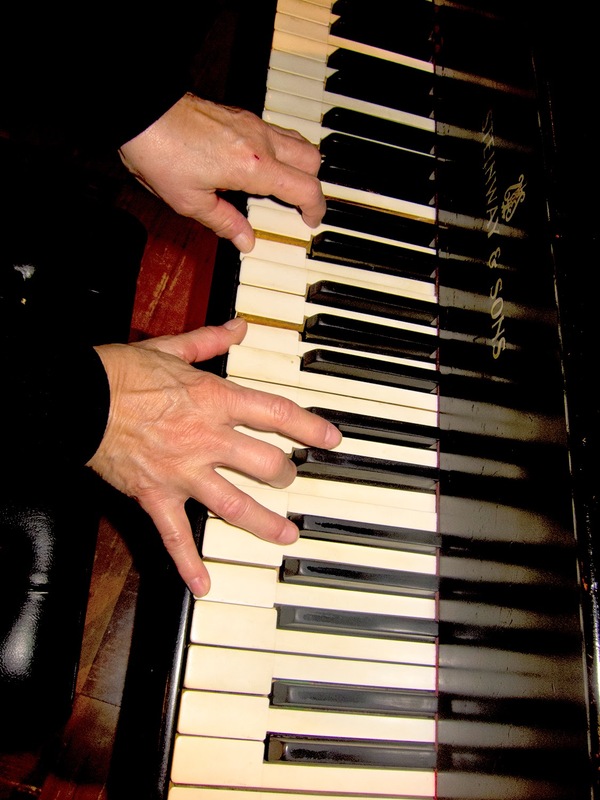 The plaintive Are You Lonesome Tonight?, a noted blue light ballad, was recorded with so little light that the pianist could barely see the keys. And, who knew?, the piano man on that midnight session was Elvis himself. Legend has it that Elvis was on piano with only a double bass and the Tennessee Three singing back-up. Except I’ve just listened to the recording and I’m pretty sure I hear the soft strumming of an acoustical guitar and can't identify a piano at all. 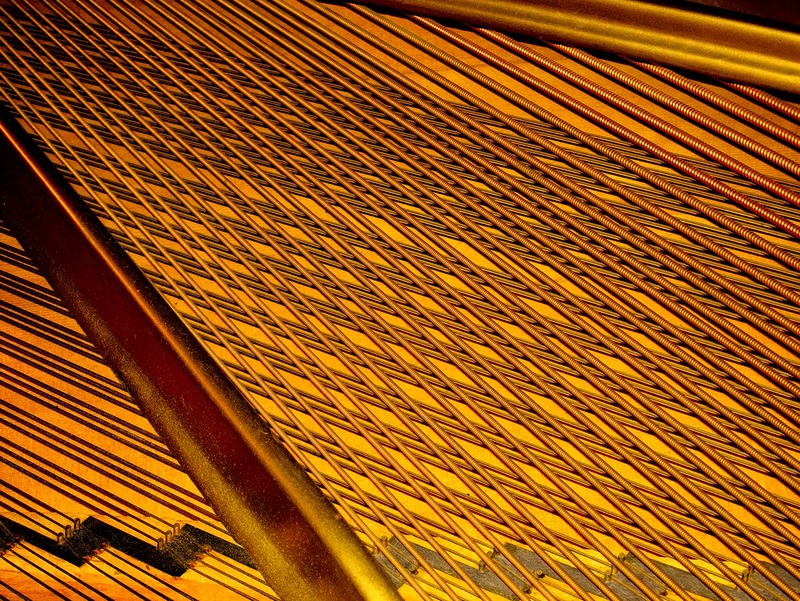 Because the studio was so dimly lit I couldn’t hand hold a long shot of Elvis’s piano (that’s how it’s known) but I could brace myself against it for relatively sharp shots of its innards and of my cousin Kristin’s skilled fingers caressing the keys. Very interesting, Steve. Tell us more. Those were the heady days of almost being a star. LA, Capitol Records, personal management in a stable with Sam Cooke, Jackie Wilson, The Lettermen and Bobbie Gentry. Then nada. Audio Recorders tried to hold up Capitol, my partner fell in love and boogied back to AZ. Don't even have a copy of the record though I do have the original handwritten music and lyrics. Waiting to hear audio of your recordings, Steve! Very cool! What a guy! Tell us more, indeed! This story, too, needs to be written! I find myself printing your blogs, especially when you are on a writing roll like last week. Quotable after quotable! 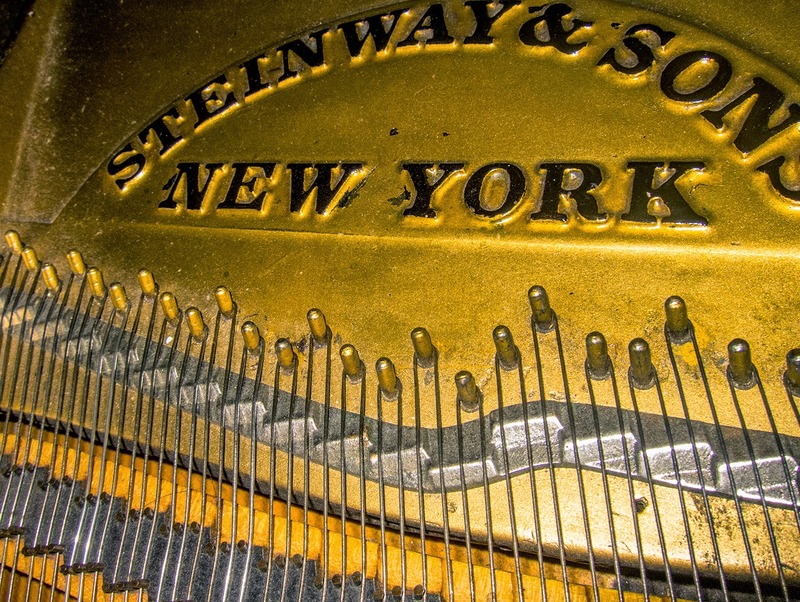 Love the photographs this week of the Steinway & Sons emblem, and the innards of the piano. Stunning. You excel at these, Steve!